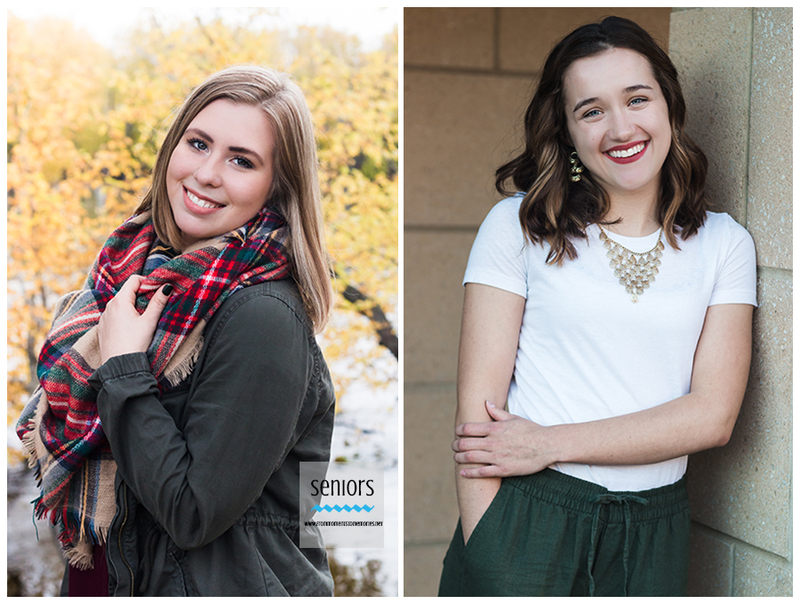 This is Part 2 of a fun series of blog posts by my daughter, Baylee, geared toward helping you prepare for your senior photo session! To read Part 1, click here. Obviously, you want to look like the best version of yourself on your session day. After all, these photos will be seen by your friends, family and peers for many years to come. Here are a few tips and tricks where beauty and fashion are concerned. Keep crazy accessories to a minimum. For example, if you want to wear those funky cat eye sunglasses, go for it, but then plan your other accessories around that one crazy item. Don’t let them compete with a super splashy print, giant earrings as well as a large scarf. A wise person once said: always take off the last thing you put on. Stick to your style. If you normally wear a nice shirt, jeans and the occasional sun dress, don’t bring leather pants and jacket to try out a “grunge” look. You want to make sure you are comfortable in what you are wearing. Same goes for shoes. If you practically live in cowboy boots, you probably won’t want to wear 4 inch heels in your senior pictures. The day of your senior portrait session is not the time to try out the newest Pinterest or runway trend. Deep colors like jewel tones work better than lighter colors for urban themed shoots. When choosing colors, remember that lighter colors tend to accentuate weight, while darker colors have a more slimming effect. Textures and layers look fabulous in all types of shoots. Avoid clothing that has the potential for a wardrobe malfunction. For example, don’t wear dark undergarments under that white blouse. Please pay attention to bra straps, because “photoshopping them out” isn’t always an option. Also, make sure your dress or skirt is long enough so that when you are seated for a pose, you aren’t flashing everyone and their mother. Make sure you actually do the “sit test.” You would be surprised with how many girls wear a skirt that they can’t sit down in because it is too short. Avoid super low-cut shirts, unless you plan on wearing a cami or bralette underneath. Try on your outfits ahead of time. Make sure you like how you look! 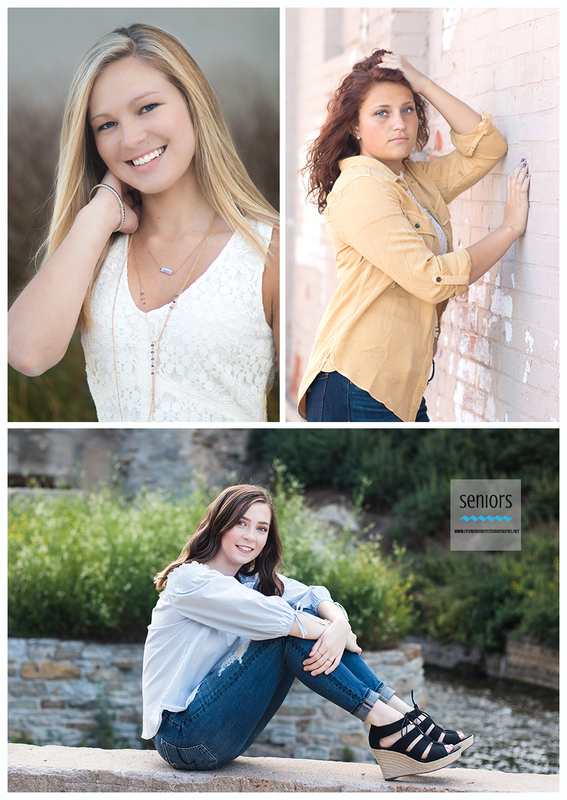 We have had many seniors not like their photos, simply because of the outfit they chose. If you like it on the mannequin, you might not like it on yourself. If you plan on wearing heels or shoes that are not typically comfortable, bring a pair of Toms or tennis shoes for walking around. Most locations require extra walking. Having a pair of comfortable shoes is a good idea, especially if you want to avoid blisters. Makeup reads differently on camera than it does in real life. Makeup is never a necessity, however it pulls your whole look together. If makeup isn’t your thing, wear some BB cream, mascara, and lip gloss. Simple, yet makes the look. However, if you are into makeup, keep in mind these are your senior photos, not a runway look. Wear slightly more than your every-day makeup, but not as much as Snooki, circa 2008. If you are still uncertain about your makeup, we offer makeup application at an additional cost. Think about all the details: nails, hair, teeth, skin. Use a whitening toothpaste or strips in the weeks leading up to your session, really look after your skin and don’t pick (we do offer free blemish touch up). Paint your nails the day before, your hands will be in your photos! Make sure to shower the night before or morning of. If you’re feeling extra luxurious, go to the salon for a mani/pedi, and maybe even a facial. Don't get sunburned. Again, there is only so much Photoshop can do and if red skin removal is in order, it is very time-consuming and costly! This goes for tan lines as well. Practice your hairstyle in advance and take a few selfies to see how it photographs. Try to keep your true essence and don’t wear a hairstyle that’s “not you.” For example, if you wear bangs on the regular, don’t pin them up on your photo shoot. If you always wear your hair down, keep it down on your session day. Also— don’t forget to bring hairspray. No matter how much you put in at home or the salon, it is never enough. Don’t make any major changes in the days leading up to your session. No extreme faux tans that have the potential to convert you to oompa-loompa status, don’t go from black to bleach blonde, no major haircuts that could incite tears, etc. Make sure you are comfortable with how you look. Being comfortable with how you look and feel is important, and it will show in your photos!